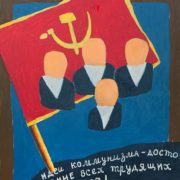 Interpreting USSR kitsch Soviet artist Arkady Petrov (born 1940). 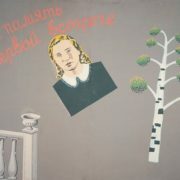 His art, as well as many of his contemporaries, actually fell into the category of “forbidden” in Soviet times. 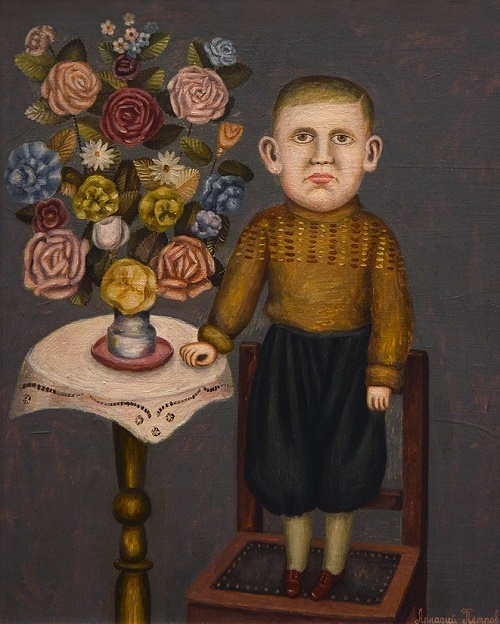 His paintings almost never appeared on official exhibitions, although in the artistic environment his authority was quite high. 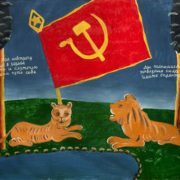 Born in 1940 in the village near Gorlovka in the Donbass (and then Stalin) region, he spent his childhood in the miner’s province. 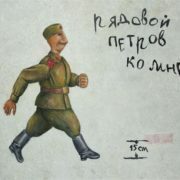 Meanwhile, aged 17, he moved to Moscow (1957). 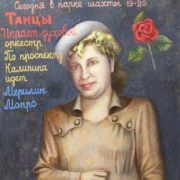 After graduating from the Art School “In Memory of 1905”, in 1963-1969, he studied at the Moscow State Art Institute of Surikov. 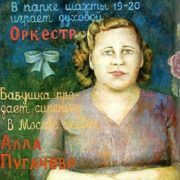 During the Soviet era, authorities hardly allowed his works, and in Soviet times he had only one solo exhibition. 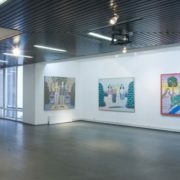 However, The Russian Museum became the first museum that acquired the artist’s canvases as far back as the 1970s. 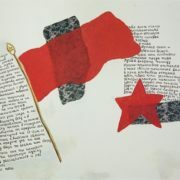 Besides, he gained fame in perestroika as the author of one of the individual versions of social art. 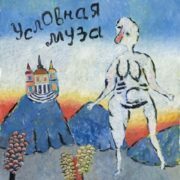 Glory comes to Moscow based artist at the turn of the 1980s and 1990s: he creates large-scale paintings, and many of which become an event in the domestic art world. 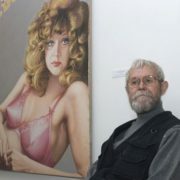 In addition, he takes part in significant international exhibitions, and his works are acquired by foreign museums and collectors. 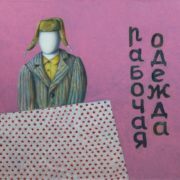 The status of Arkady Petrov is fixed by large-scale solo exhibitions in the Central House of Artists in Moscow, as well as expositions supervised by director Sergei Solovyov and artist Oleg Kulik. 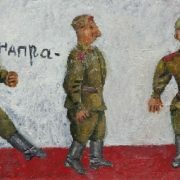 The main motives of Petrov’s art are the life and culture of the Soviet province of the mid-twentieth century, and more broadly the life of the “simple Soviet man” as a special case of a “little man”. 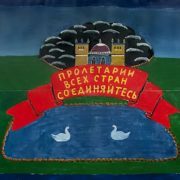 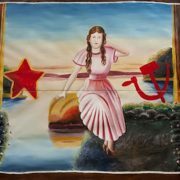 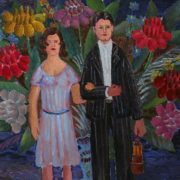 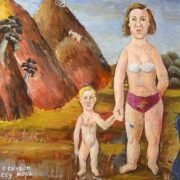 The artist reinterprets the stereotypes of Soviet society, looking at them through the prism of kitschy plots, images of the national mass culture – from painted aniline postcards to portraits of Alla Pugacheva. 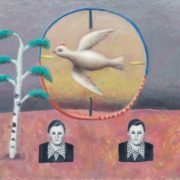 The faceless aesthetics of kitsch, Arkady Ivanovich Petrov transformed into a gallery of characteristic and experienced human types, naive and epic at the same time, into a unique cut of the era. 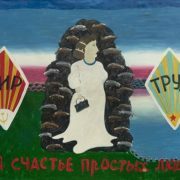 Petrov’s works are in such collections as the Museum of P. Ludwig (Cologne, Germany), the Jane Voorhis Zimmerli Museum, the Norton and Nancy Dodge collections, the Rutgers University (New Brunswick, New Jersey, USA), the Museum of Contemporary Art (Seoul, South Korea), and in many private status meetings around the world. 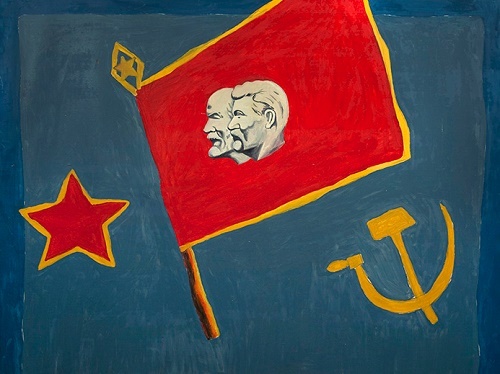 The Russian Museum became the first museum that acquired the artist’s canvases as far back as the 1970s.